Only 179,579 Miles! Boasts 19 Highway MPG and 16 City MPG! KBB.com Best Resale Value Awards. This Toyota Tacoma has a trusty Gas V6 3.4L/208 engine powering this Automatic transmission. 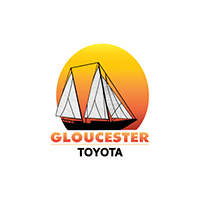 * Stop By Today *Come in for a quick visit at Gloucester Toyota, 6357 George Washington Highway, Gloucester, VA 23061 to claim your Toyota Tacoma! Come see this 2013 Volkswagen Jetta SportWagen before someone takes it home! * Visit Us Today *A short visit to Gloucester Toyota located at 6357 George Washington Highway, Gloucester, VA 23061 can get you a dependable Jetta SportWagen today!